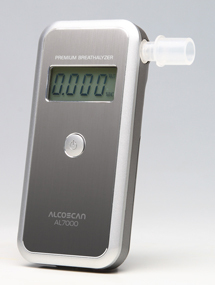 This is the AL7000 Premium Plus Breathalyzer and is our most accurate semi-conductor digital electronic breathalyzer due to a 3 decimal point digital display. 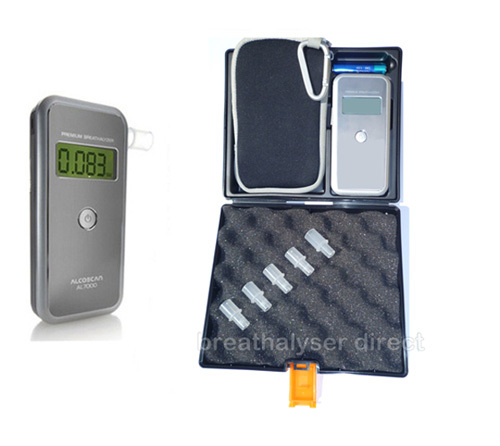 It is the only Breathalyzer unit available in the world, offering click in/click out sensor changes with the 3 decimal point LCD display for great accuracy. New hard pro compact resin carry case (with internal protective foam lining), soft protective carry pouch, 15 mouthpieces, hand strap, full easy user guide instructions, 2 x AA batteries with internal case mouldings to carry extra mouthpieces and spare sensor if required. Also marketed as the Alcomate Phoenix on other websites. The Alcomate Phoenix is the US version at £100 plus ! We sell the UK model - calibrated to the UK standard of mg/l and you get all the great extra features of the Premium Plus testing pack. 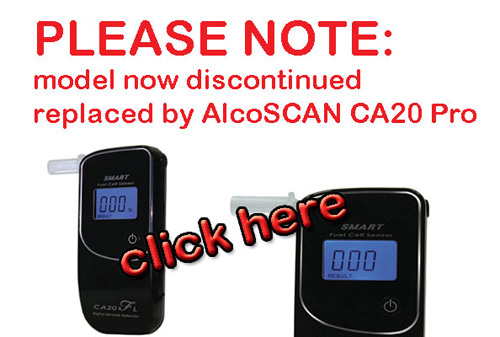 This is a highly popular and accurate model, and features the very best sensor technology. The unit looks and feels sophisticated, incorporating the very best in build quality. The AL7000 Premium Plus features a large, clear, 3 digit decimal point LCD no nonsense display. 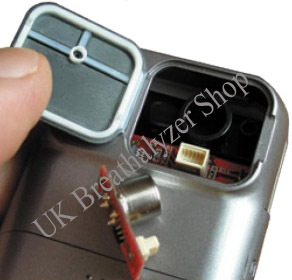 This ensures unrivalled accuracy amongst semi conductor digital breathalyzers meaning that there are 350 incremental steps to the UK driving limit of 0.350 mg/l. The unit can be used in any country however. 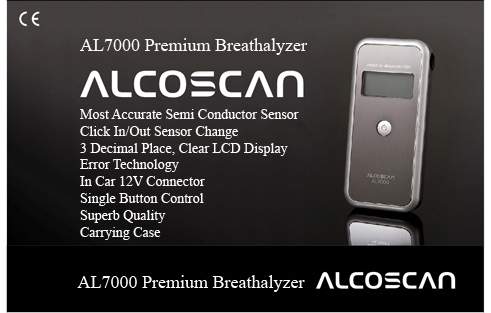 The AL7000 Premium Plus also has the enviable feature of user calibration - click in/click out sensor change. 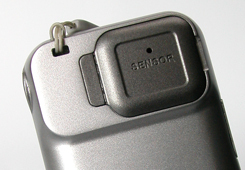 The sensor can be easily replaced by opening a small door at the rear of the unit and simply clicking out and then clicking in a new sensor to ensure ongoing accuracy and minimal down time. Perfect for employee screening and individuals requiring minimal downtime and high level accuracy. NHS Casualty Departments, Employers Intending To Screen Employees, Transport Professionals, Pilots & Individuals Requiring High Accuracy. We can supply extra mouthpieces if required and would recommend additional mouthpieces for employee testing. If you are likely to be doing bulk testing of employees on a regular basis then you should seriously consider the Alcovisor Mk X, or Drager 6510/6810 series. Semi conductor units are unsuitable for very high volume bulk testing as they need recalibrating every 250-300 tests.